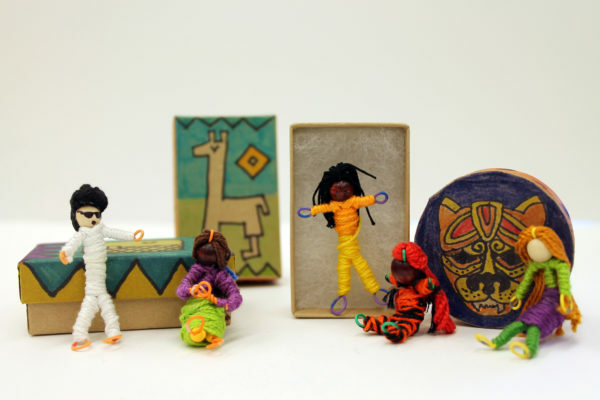 These small colorful dolls are traditionally made in South American cultures such as Peru and Guatemala. According to legend, if you tell your worries to a doll before going to bed at night and put it under your pillow, you will wake up the next morning and your worries will be gone. Students learn to make their very own worry doll with colorful wire and embroidery thread. They then decorate a small wooden box in which to keep their doll safe.